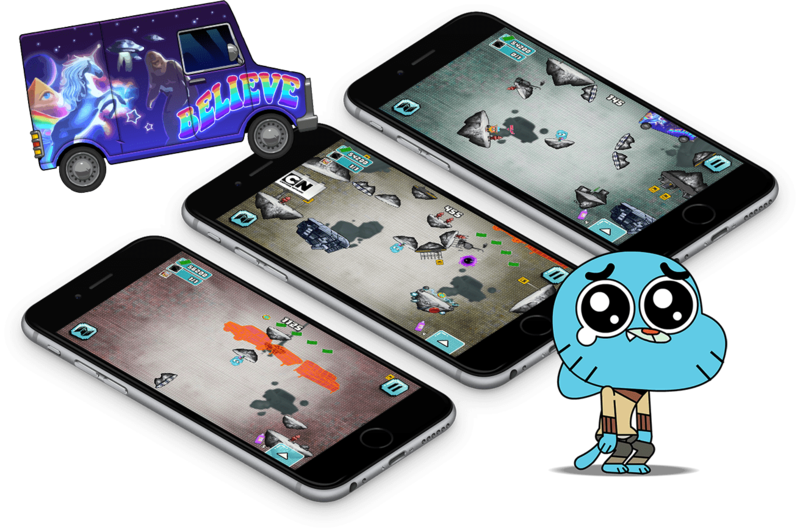 Help Gumball rescue the citizens of Elmore stranded in the Void and return them safely to the real world. Wrecker’s evil machinations have swallowed the entire town of Elmore into the Void. 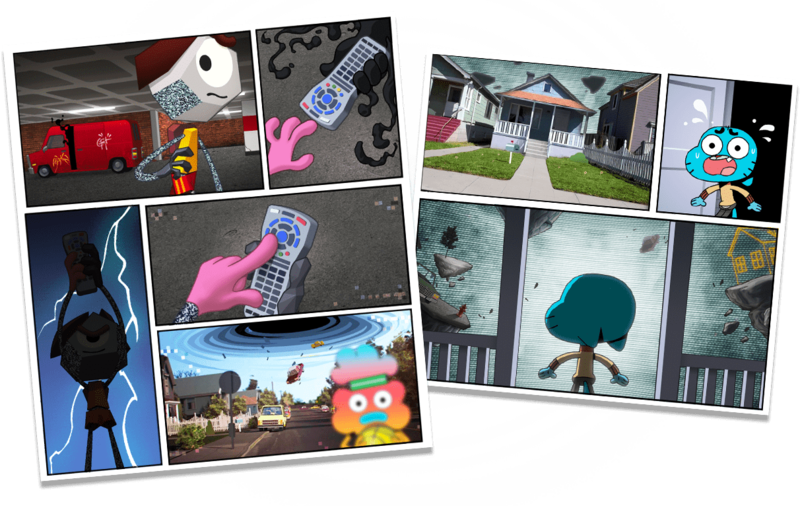 It’s up to Gumball to thwart his plans and fix this mess! Jump from one floating island to another as you rescue people and navigate your way out of the Void. 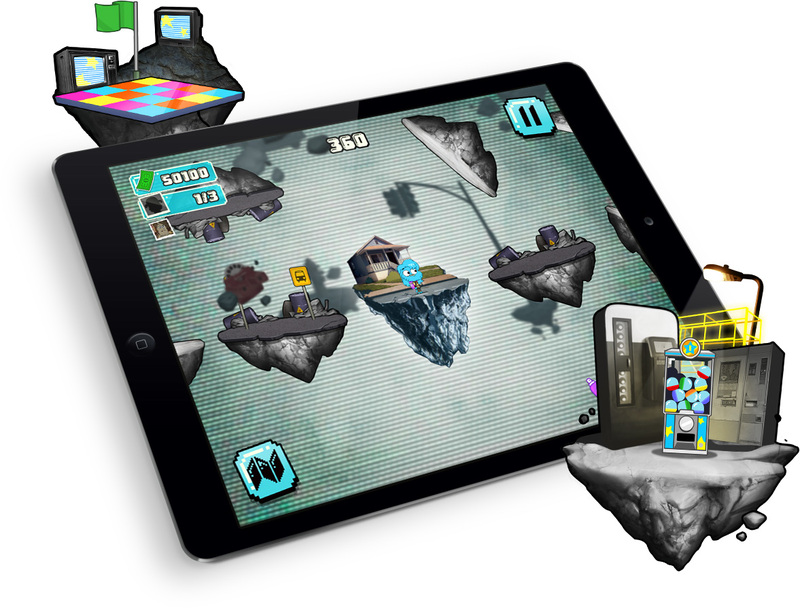 With randomly generated levels, each game is unique! 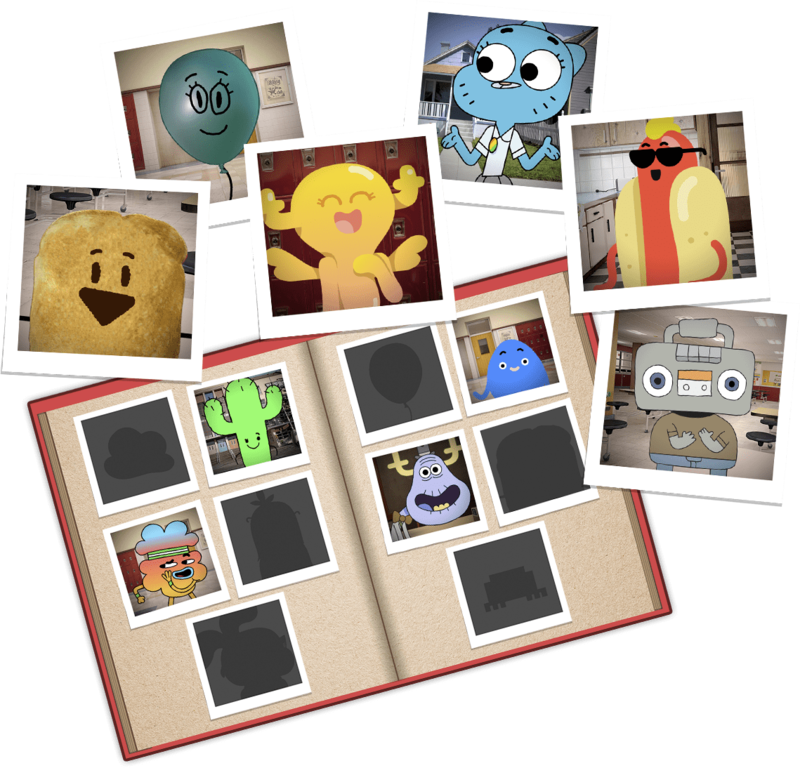 Fill-up your yearbook by finding all 25 characters from the series. 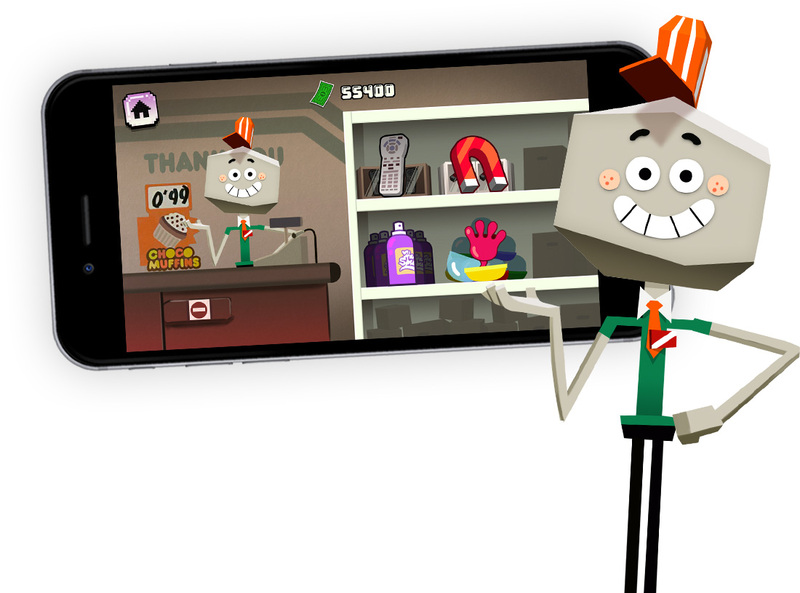 Collect in-game cash to buy useful items such as the hairspray can, the sticky hand, the remote control and the magnet.